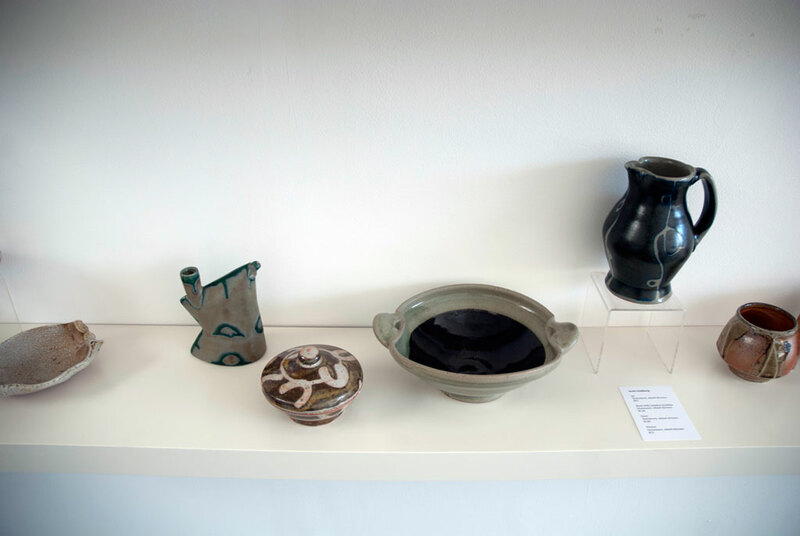 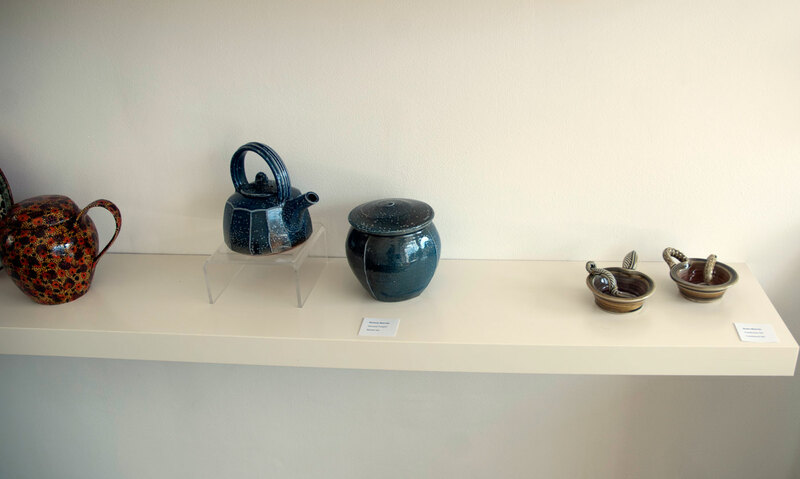 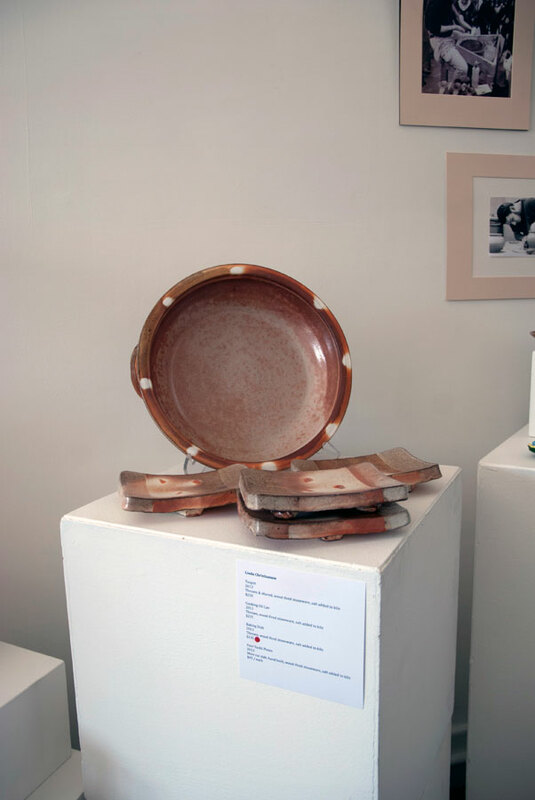 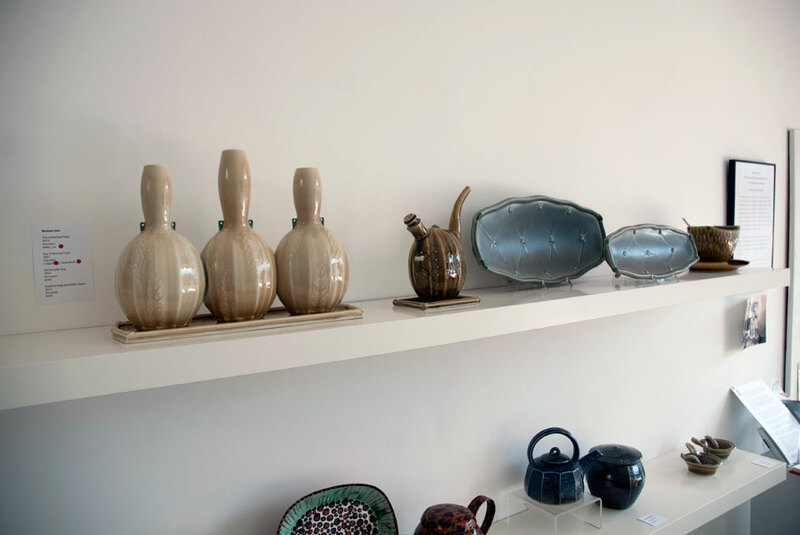 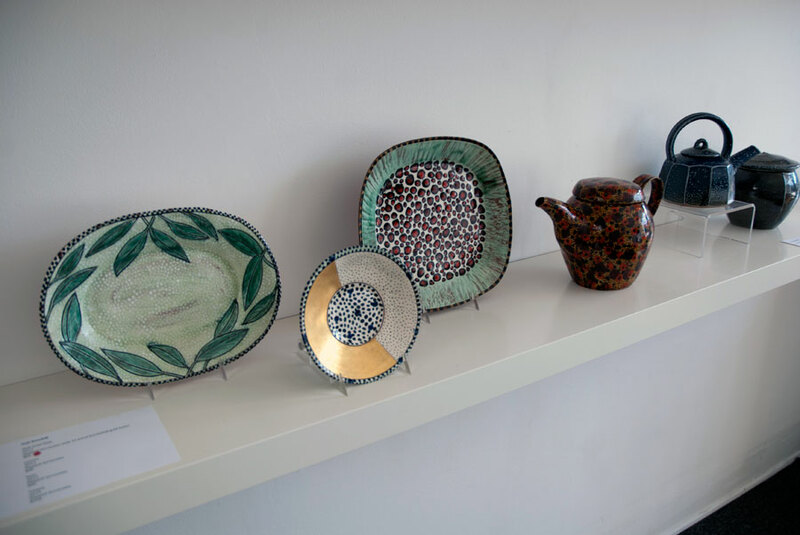 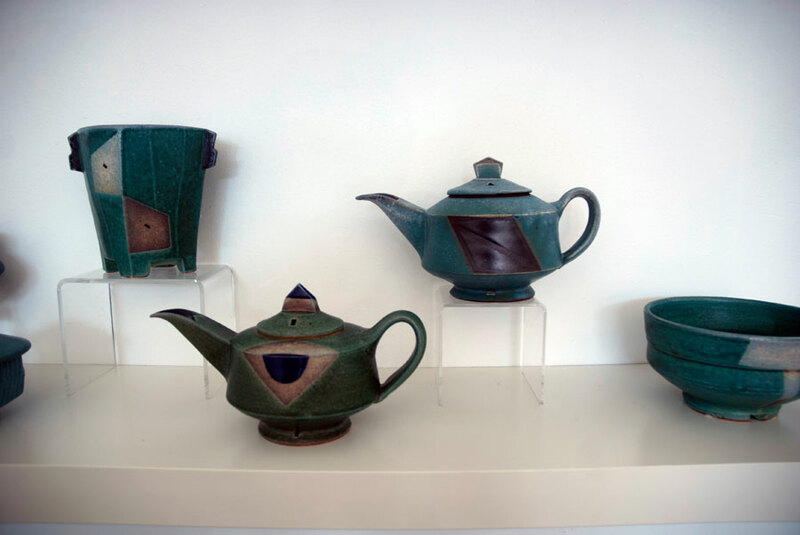 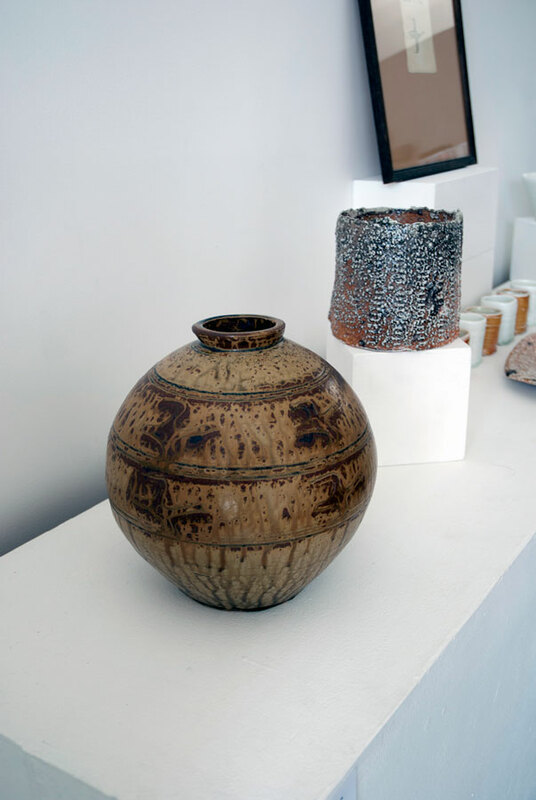 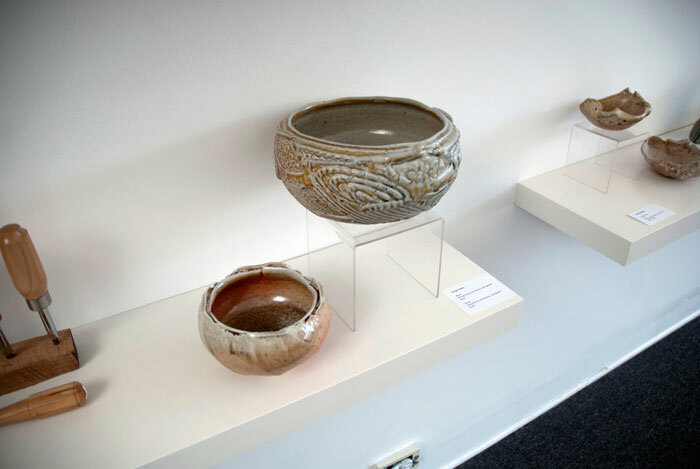 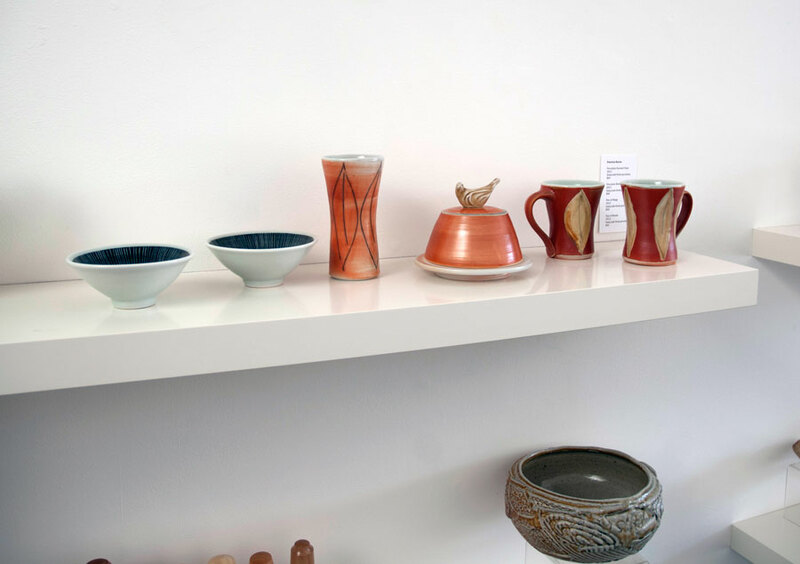 Passing It On: From Bernard Leach to Jeff Oestreich to the Midwest and Beyond is an exhibition of work by acclaimed potter Jeff Oestreich and the circle of artists who have passed through his studio in Minnesota from the early 1970s to the present. 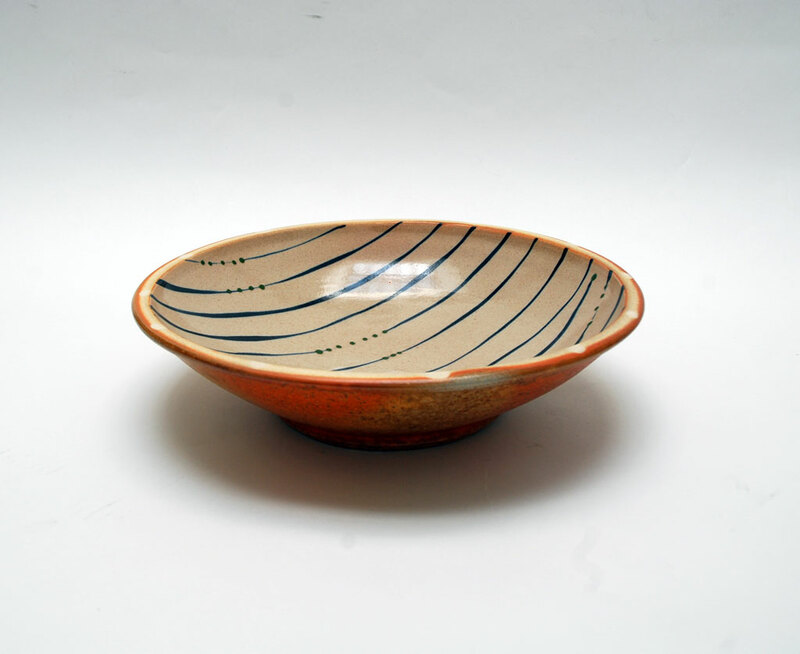 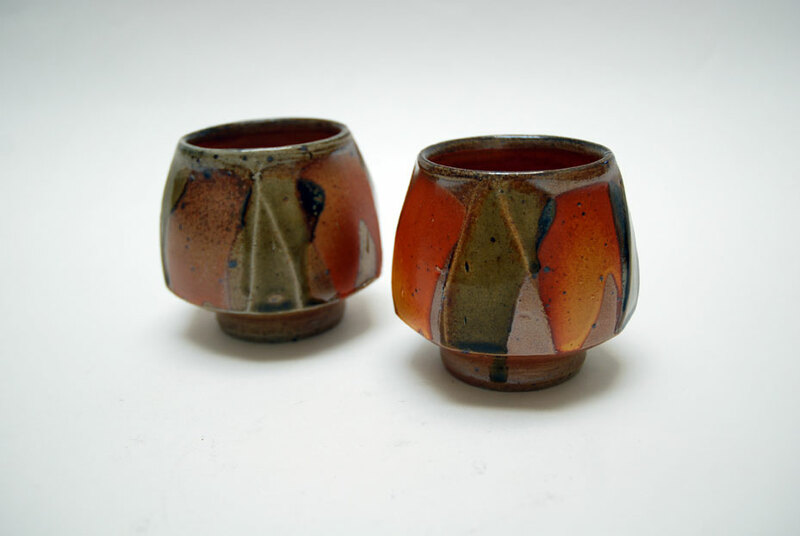 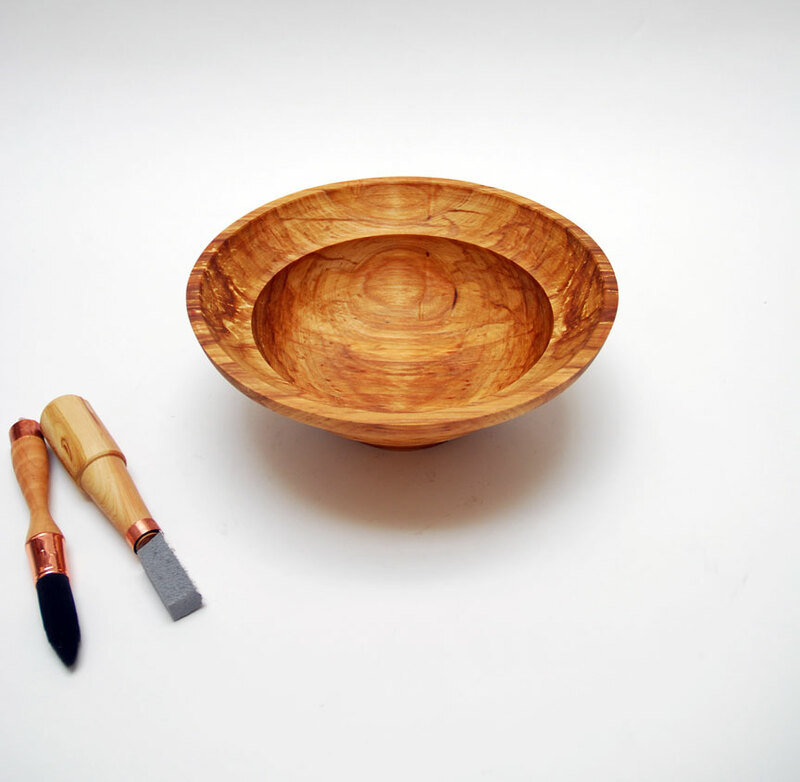 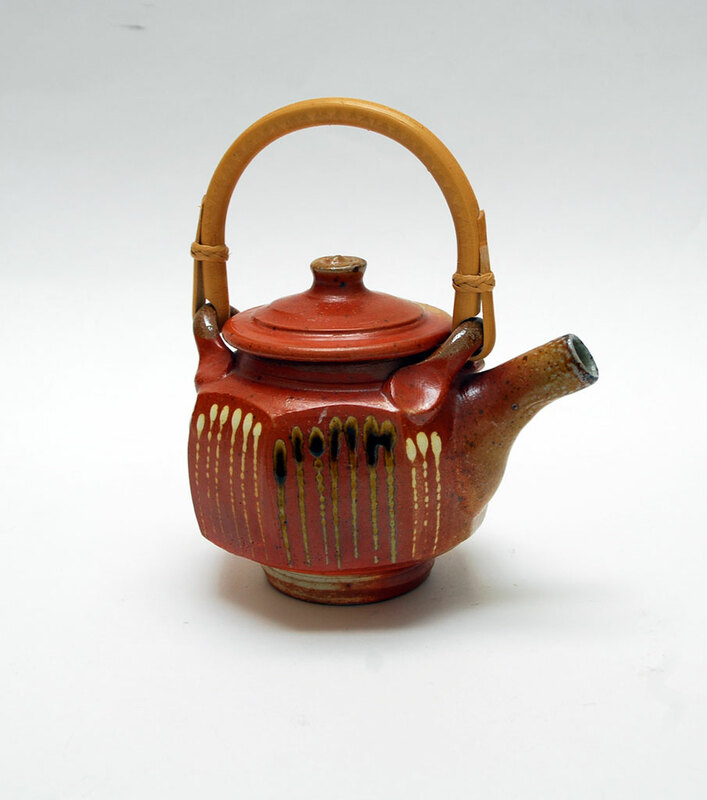 Oestreich, who was profiled in Craft in America’s 2012 documentary episode CROSSROADS, was trained in the austere simplicity of traditional Asian pottery while serving as an apprentice to Bernard Leach in England in the 1960s. 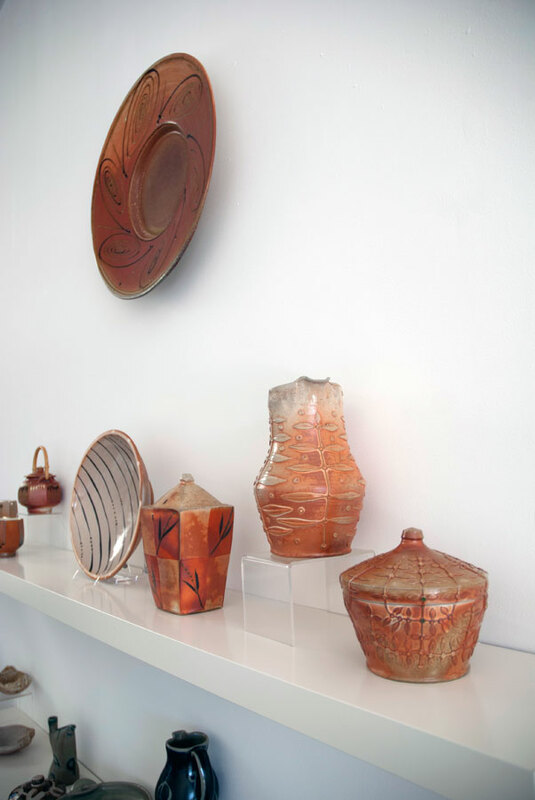 Upon his return to the states in 1971, he began to disseminate Leach’s legacy to numerous American ceramists who have carried the messages forward. 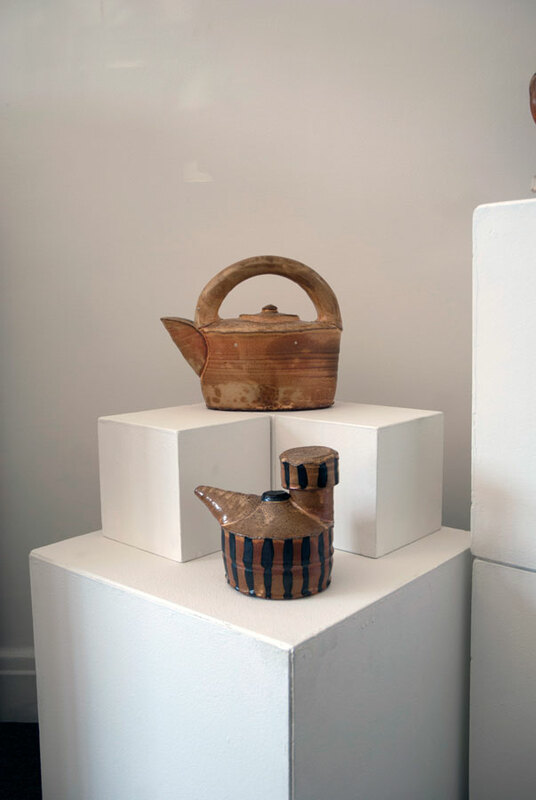 This exhibition will reflect the passing on of traditions, attitudes, studio and making practices, and aesthetic values. 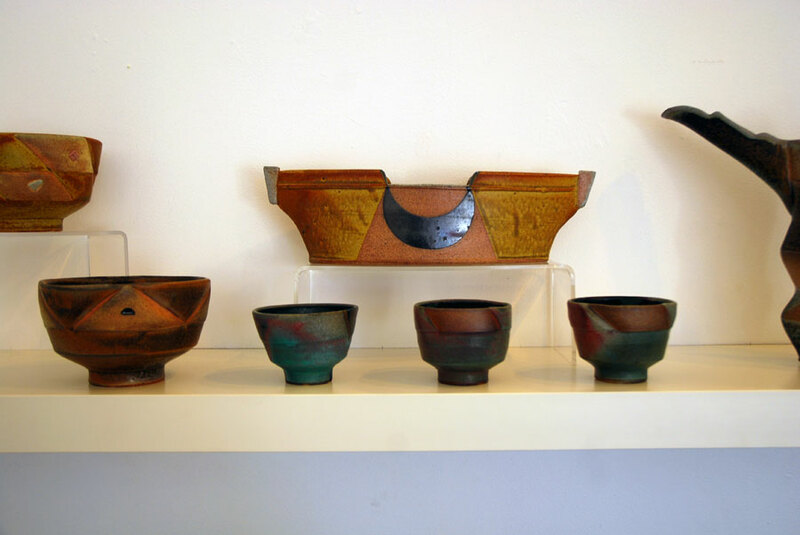 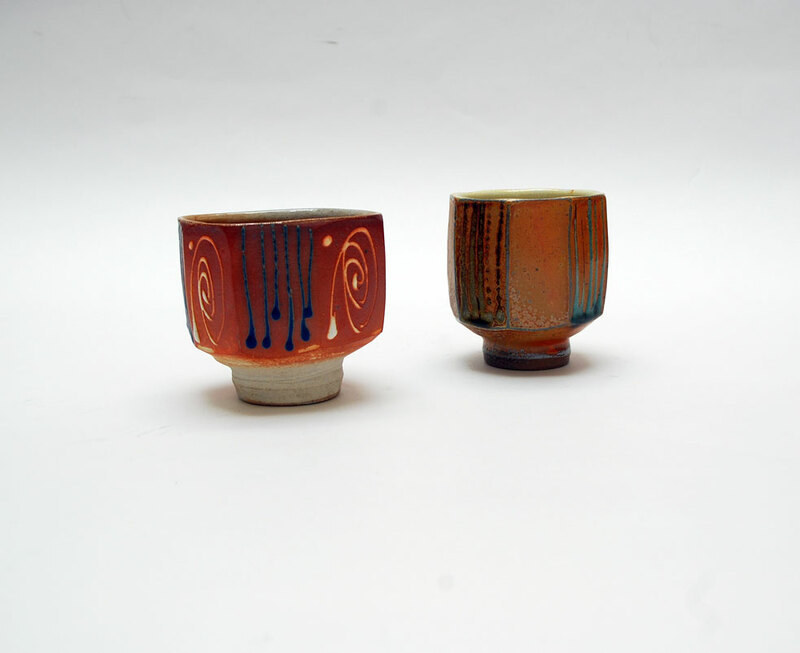 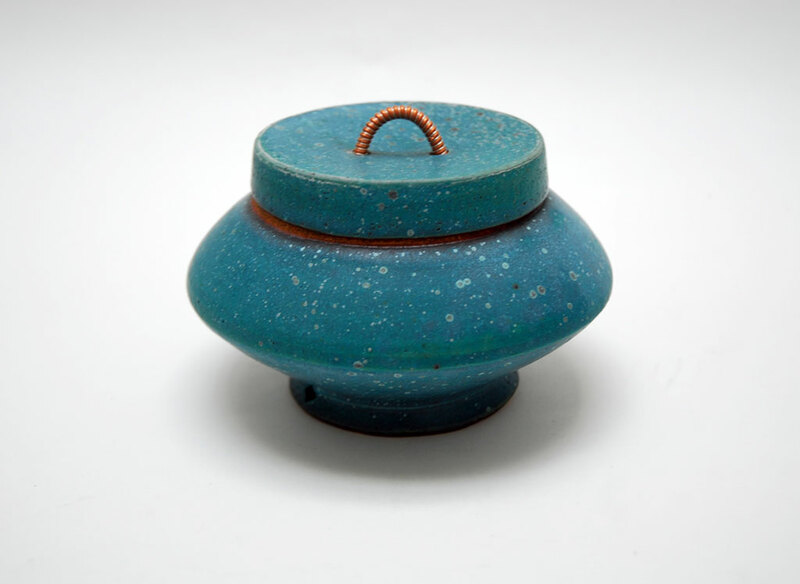 It will pay homage to Oestreich’s role as an influential voice in contemporary pottery. 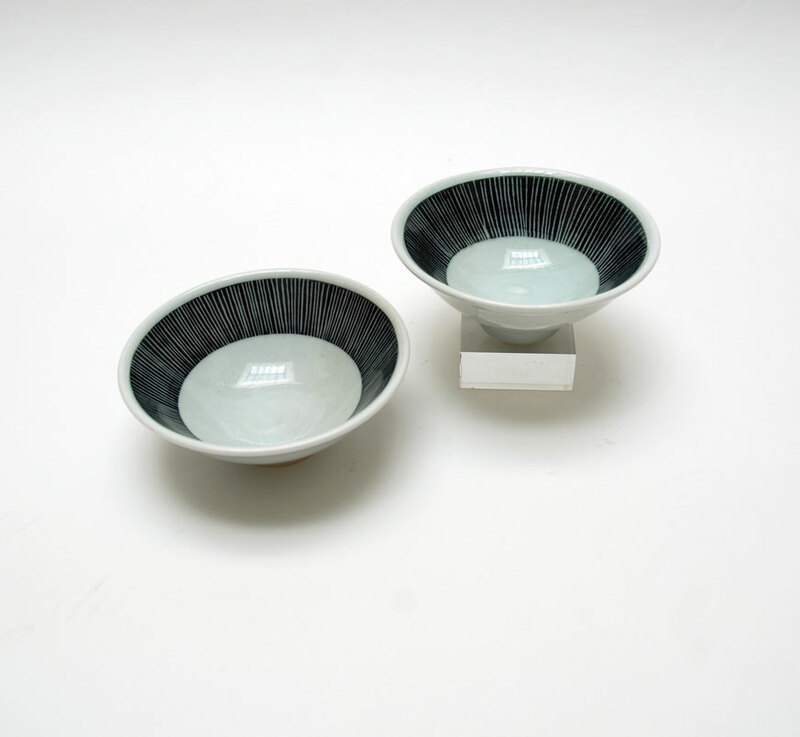 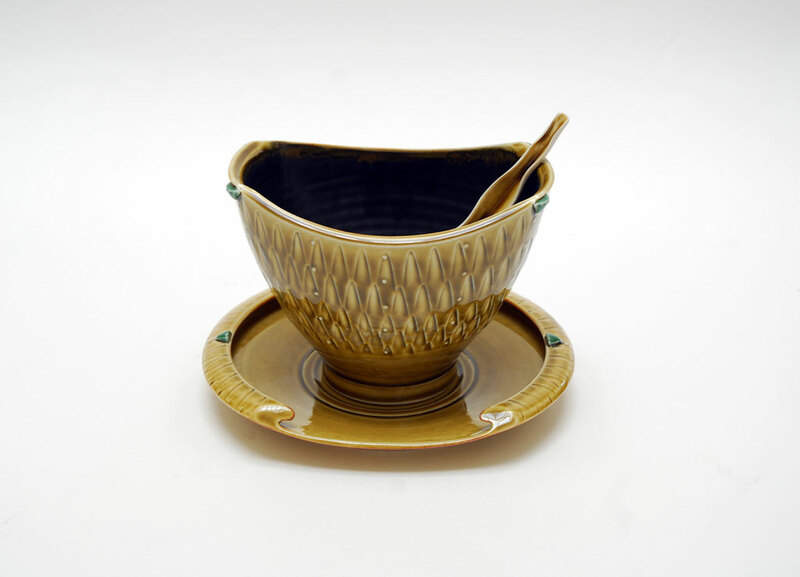 Driven to achieve a personal style, Oestreich overlaid his traditionally-trained background with a passion for Art Deco design and a ceaseless exploration of glaze and decoration techniques. 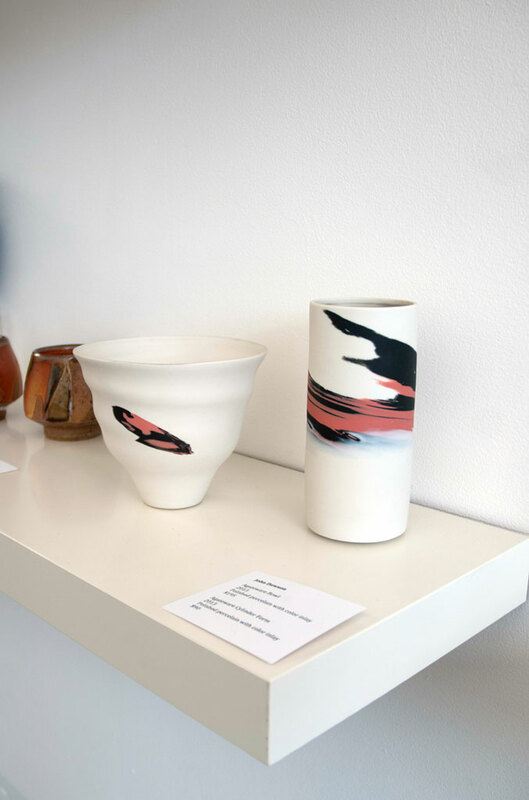 His signature beaked pitcher is the refinement of a personal challenge to combine form and function elegantly. 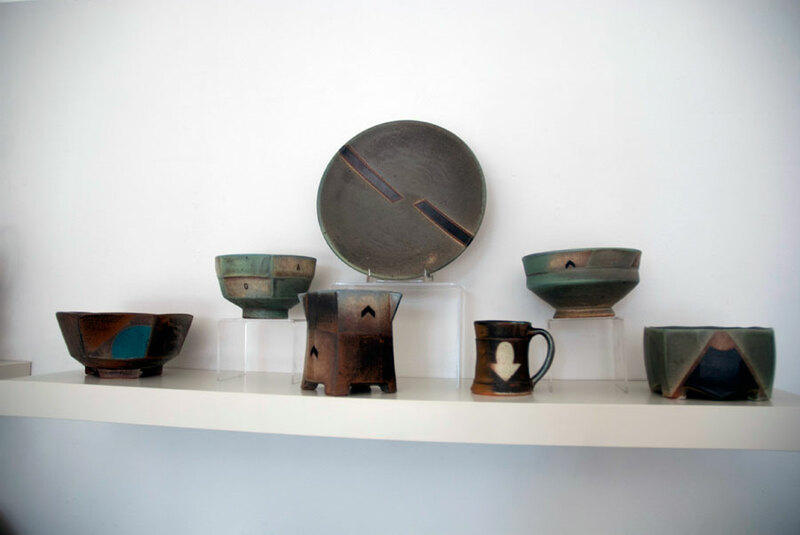 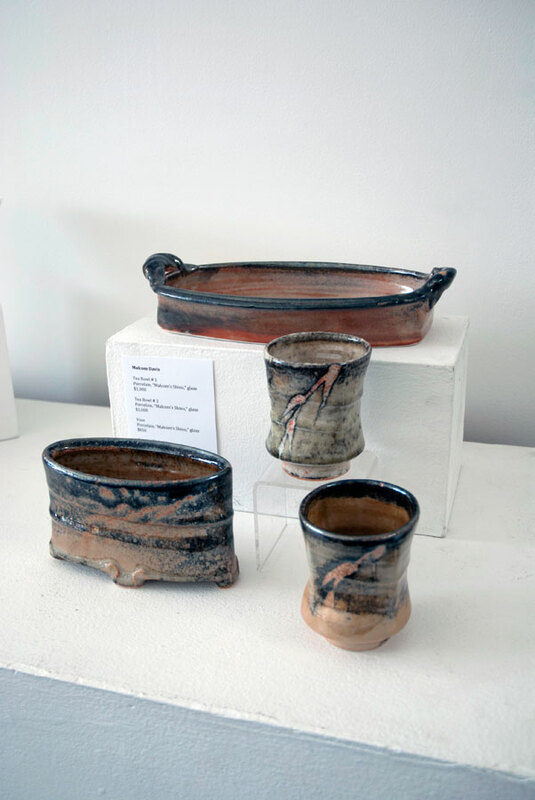 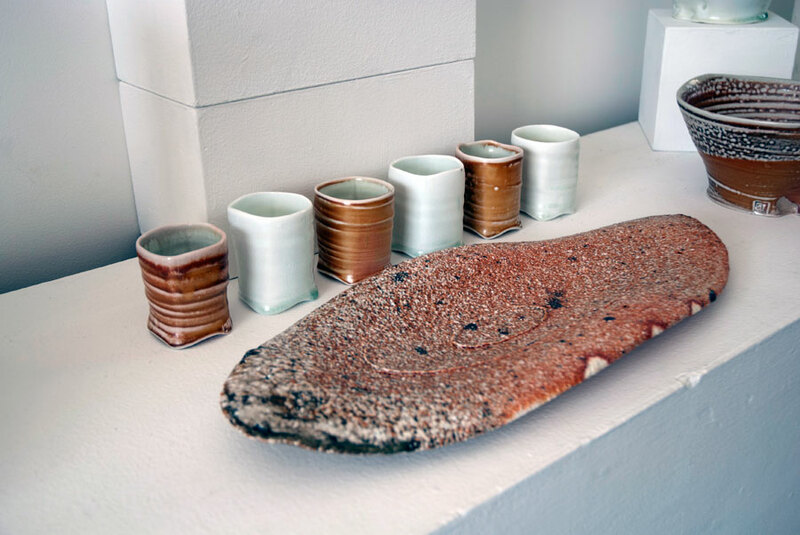 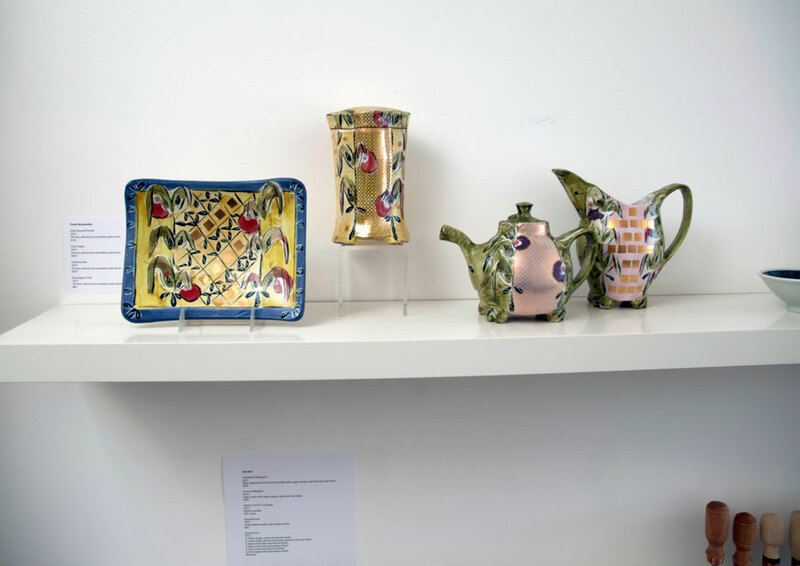 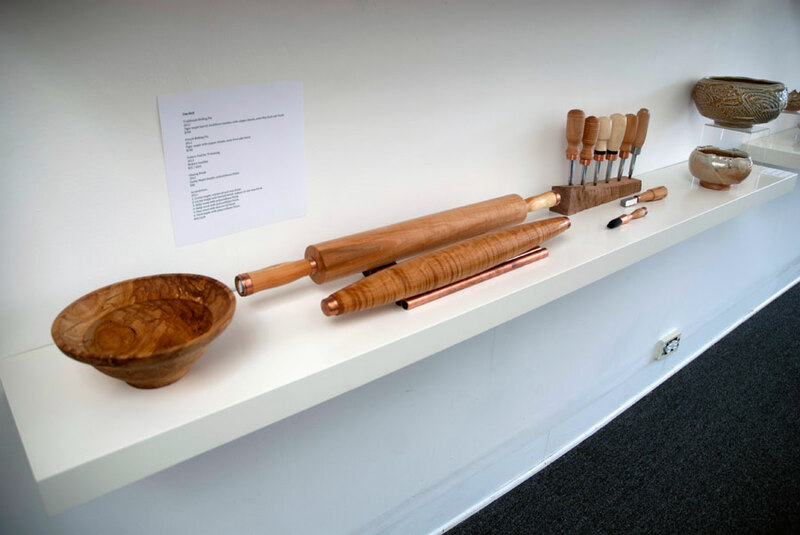 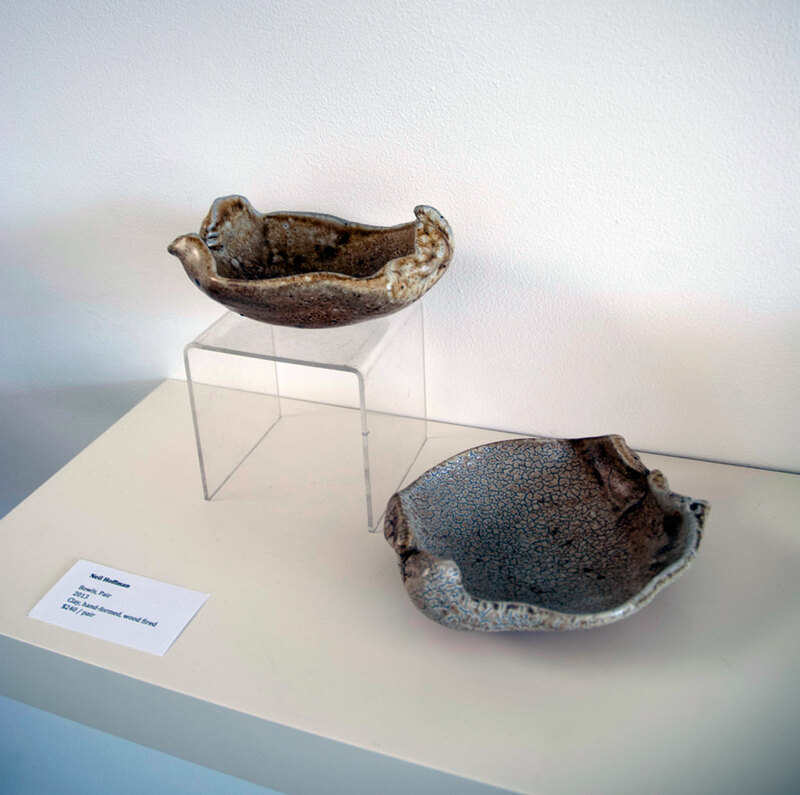 Jeff has exhibited widely in museums and galleries worldwide; his work can be found in the outstanding collections of the Victoria and Albert Museum, the Incheon World Ceramic Center, the Smithsonian’s Renwick Gallery, and the Los Angeles County Museum of Art, among others. 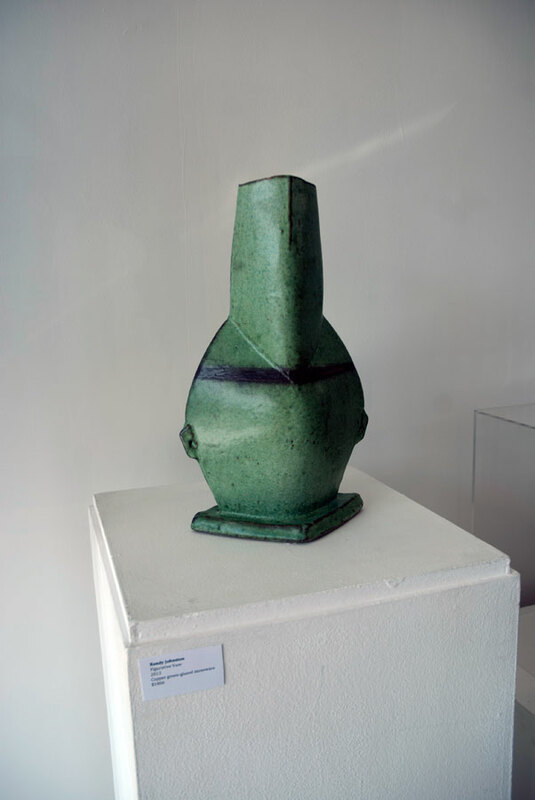 The artists he has invited to participate in the exhibition have each forged their own careers and attained the highest accolades for their work. 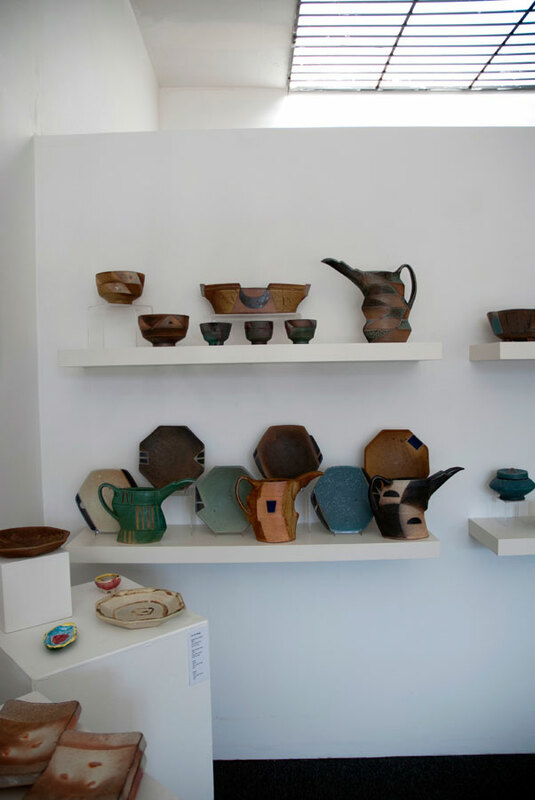 Featured artists from the U.S.: Randy Johnston, Pat Burns, Andy Balmer, Linda Christianson, Scott Goldberg, George Rector, Malcolm Davis, Gail Kendall, Posey Bacopoulos, Marlene Jack, Charlie Maag and Tim Heil. 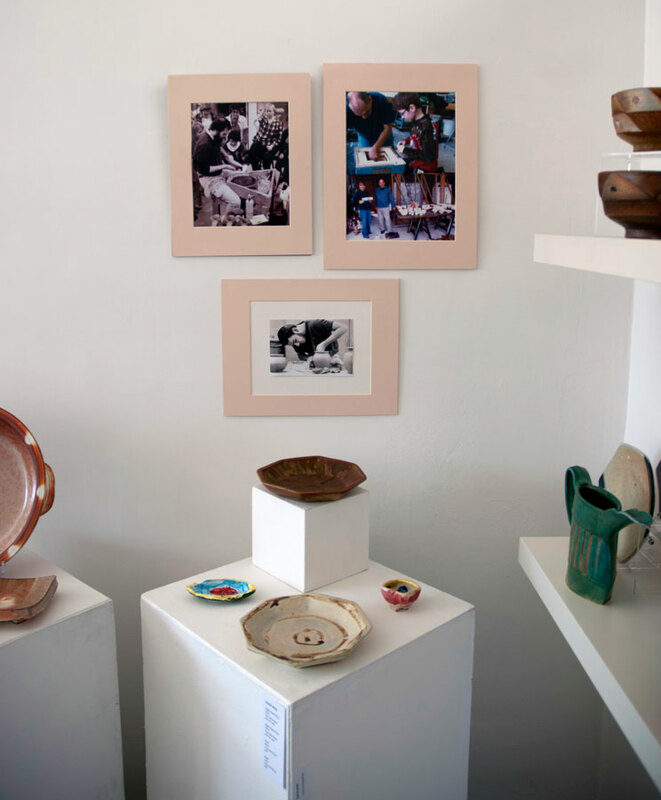 From abroad: John Dawson, Renton and Rosie Murray, Micki Schloessingk, Sandy Lockwood, Neil Hoffmann, and Greg Crowe.